In the era of growing shared office space culture, women only coworking spaces are on the rise. One such space is One Roof Melbourne in Australia which has made a mark for itself. The space is spread in a whopping 1,000 square metres area and is just a 5-minute walk from CBD Melbourne. 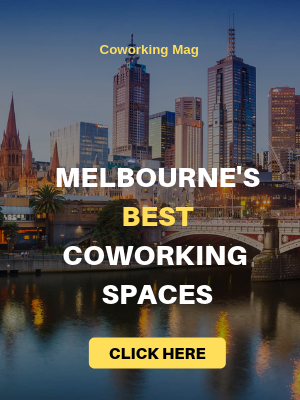 Over 80 different startups and individuals are a part of One Roof Melbourne. Being a women-only coworking space, One Roof is fostering women entrepreneurship and has made a community of women who want to make it big. The first women-only coworking space was opened up by The Wing in the United States, but the trend soon reached other countries. 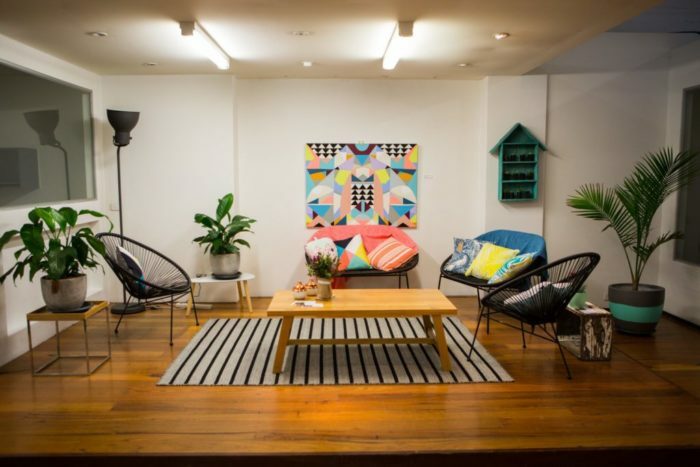 In Melbourne, One Roof is one such coworking space for women that is full of activity. Founded by 2 women – Sheree Rubinstein, a corporate lawyer and Gianna Wurzl, a US-based strategist, One Roof now plans to expand in Sydney and even some cities of the US. 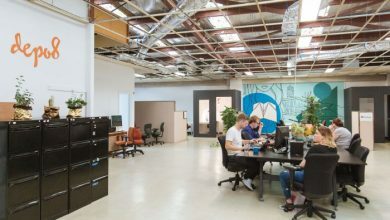 In their expansion plans, they recently acquired a Sydney based coworking space named The Ventura. 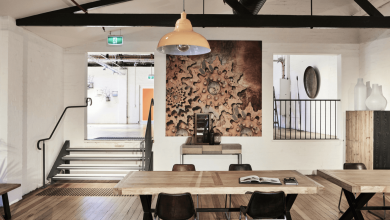 If we talk about coworking spaces then One Roof Melbourne has one of the best interiors. 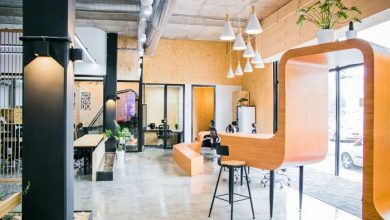 With wooden floor, carpet area under desks and a tint of white and cyan on the walls, this space makes one of the most beautiful shared office space for women in Southbank. The posters on the wall depict that this is a women-centric coworking space. 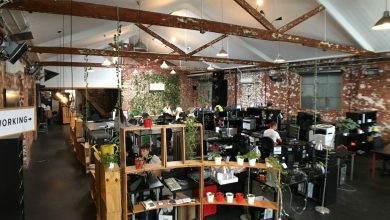 Another great thing about One Roof Women coworking Melbourne is that this space has greenery all around. Apart from beautiful plants that hang in pots from the ceiling, all desks also have green plants placed in bottles. Just in front of the open seating area, they have cubicles which are basically private offices. These again have been decorated aesthetically for women entrepreneurs. Meetings rooms over here are simply fantastic. One visit to the meeting room says it all. The atmosphere at One Roof is so pleasant that everyone enjoys working over here. The community is growing stronger day by day and all women members are very helpful. 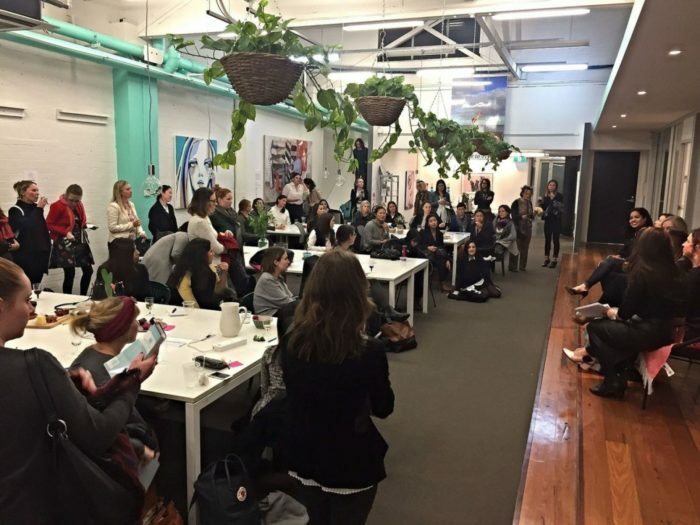 One can feel the passion, the support, the inspiration from like-minded women who are a part of One Roof Melbourne. 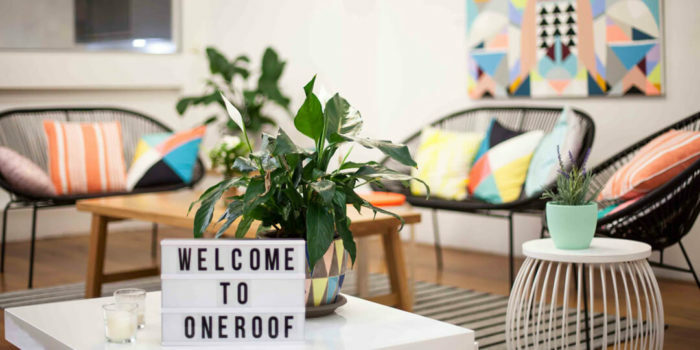 At One Roof Melbourne, they have 6 different membership plans to suit the needs of all women who wish to join this amazing coworking space in Melbourne. Let’s have a look at all the plans and what they offer. Day Pass – You can get 1-day access over here with a day pass that costs $39 a day. GST is charged extra. With a day pass you get access to the place from 9 am to 6 pm. This also includes access to the kitchen area and tea/coffee. Virtual Yearly Membership – You can have a yearly membership of this space at $450 per year. This gives you access to 1 day of coworking area access every month and special discounts on their events and workshops. This membership can also serve as your virtual office address where you can use their mailing address. Kickstarter Membership – This is again a virtual membership where you get access to the place for 5 days in a year. You get special discounts on their events and workshops. The cost for this pass is $350 + GST per year. Flexible Monthly Membership – This plan gives you access to One Roof Melbourne for 3 days in a week. You can choose to sit anywhere in the open seating as this is a hot desk plan. Price for a desk under this plan is $370 + GST per month. Other inclusions of this plan are meeting room access for 2 hours and kitchen area access with tea/coffee. Dedicated Monthly Membership – If you wish to join One Roof Southbank as a permanent member then you can go for this plan. It costs $500 + GST per month. The plan gives you 24/7 access to the space and you get a dedicated desk at the location. 3 hours of meeting room access and other facilities like that of the kitchen and storage lockers are included. 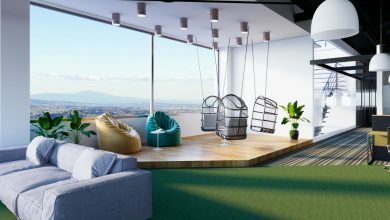 Private office – Private office at One Roof start from $1000 a month. The cubicles over here have seating for 2, 4 and even more members depending on your team size. This plan gives you 24/7 access to a lockable office. You get priority access to the meeting rooms and all other facilities n other plans. They have private offices, hot desks, dedicated desks, meeting rooms and a lot more. They hold training programs for all its members so that they can be adept in leadership skills and have team leading and project building knowledge. They even have a specific incubator program. High yield events are held every week. Friday Drinks, kitchen access and free tea/coffee. 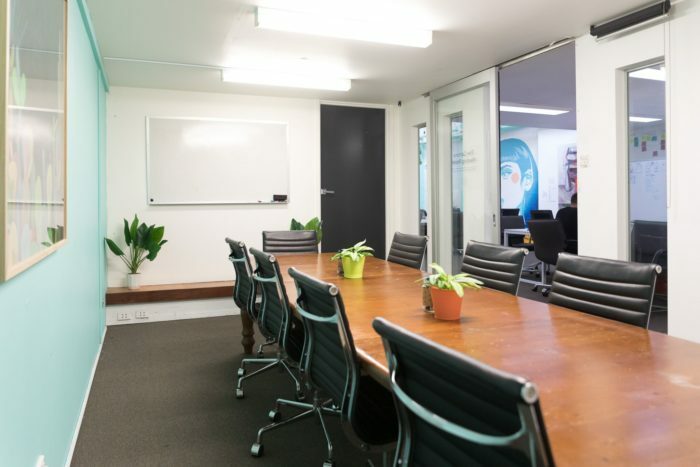 At One Roof Melbourne, they also have special Skype rooms and meeting rooms. 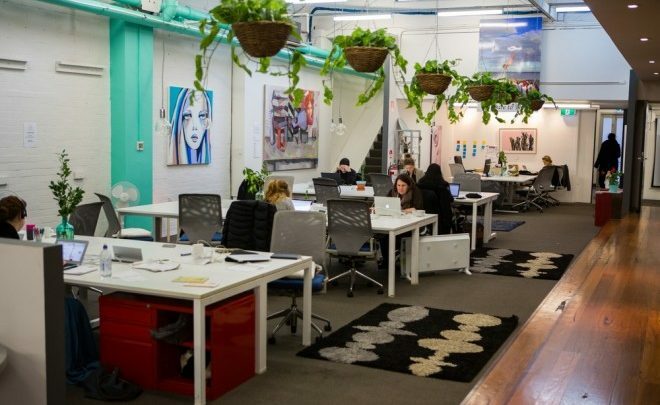 Being a women-only coworking space, One Roof Melbourne is helping a lot of women achieve their dreams. With events and workshops being held over here every week, the community over here gets a lot of information from industry experts. This is not just a coworking space but a well-knit community of women entrepreneurs and freelancers who are up and running to make things happen. 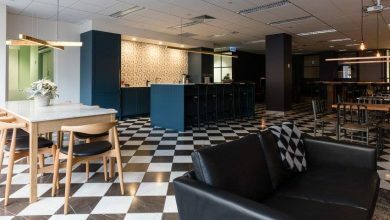 If you are a woman and are looking for a coworking space in Melbourne, One Roof will be your best bet.